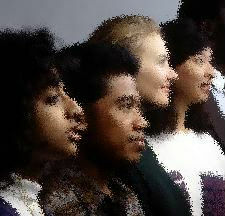 IS THERE RACIAL DISCRIMINATION IN CANADA? A new study shows that visible minorities are not getting their fair share of Canada’s economic pie. The report shows non-whites in Canada earned 81 cents for every dollar made by Caucasians. Visible minorites were also found to have a higher unemployment rate, of 8.6 per cent in 2006 compated with 6.2 per cent for white Canadians. The figures show that equal access to opportunity eludes many racialized Canadians. From 2000 to 2006 the income of white Canadians grew 2.7 per cent while racial minorities experienced a 0.2 per cent slide in average pay. Sheila Block, an economist, says the prosperity gap betweeen white and non-whites in Canada is largely the result of racial disrimination. Is this Canada’s dirty little secret? That we have a racism problem just like Americans have one? Should we have a public debate about racism in Canada? 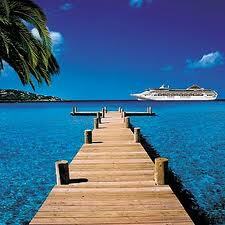 This morning Catharine and I are leaving for an 11-day cruise in the Carribean. I am not sure how regularly I will be able to blog but I will do my best. Or to be more specific do we treat aboriginals (First Nations) as second-class citizens? In her final report as Auditor-General, Sheila Fraser enumerates a shameful picture of life in aboriginal communties. More than half the drinking water in First Nation reserves poses a health hazard. The shortage of housing has more than doubled over the past eight years. Fewer than half the burgeoning number of aboriginal youth graduate fromhigh school, child and family services are deficient, health care is inadequate. Alcoholism and suicide rate are much higher on reserves than in the rest of the country. An editorial in this morning’s Montreal Gazette says the “state of First Nations reserves is a national disgrace.” Other countries see this blot on our record. Canadians come forward and help other countries; isn’t it high time we helped people in our own backyards.? Should Canadians who have the luxury of a clean and constant water supply stand idly by while there are so many other Canadians who do not? Should our governments devote more resources to First Nations problems? A new study by the Quebec Human Rights Commission raises some troubling questions about racial profiling by the Montreal police. In 2006 and 2007 , as police cracked down on youth gangs, nearly 40 per cent of the young people in the borough of Montreal North and and St. Michel were stopped and asked for their identification at least once. Just six per cent of white youth experienced the same checks. As Premier Charest says, it is difficult to justify ID checks of people with no criminal record and no gang links, which result in neither an arrest or a ticket. These checks are justifiably resented. Also the study notes complaints about “a disproportiante deployment of police resources” in neighborhoods with many visible minorities. Only 6.5 per cent of permanent positions in the Montreal police force are filled with visible minorities. Contrast this with the figure 19.3 per cent in the Toronto police force. Should the Montreal police force commit to intensive recruitment efforts among minority communities?